Whenever I am at the coast, one of the things I love to do is watch the seagulls. As they swoop and soar, they make their presence known. Their shrill squawking speaks to me. It lets me know they are here. They don't ask what their place is on this earth. They just live out loud. As women, we are often socialized to lower our voices or even to remain quiet. We are very often not listened to, as if what we have to say isn't important. I am here to tell you that what you have to say is important, and that you can share your voice in so many ways. Isn't that one of the most wonderful things about blogging? We can share our voices and find a wonderful supportive, listening community. So true! I hope there will be many men who read your post today! LOL! We deserve to be heard! I love my blog friends. They give me a kick start to my day and sometimes even lull me to sleep and night! You gave me my little kick and it felt great! Now off to work! Thank you for your visits to 34th street and you sweet comments! ...did it again! "you" instead of "your"...now off to work! yes yes, men take notes!!!!!! Right on sista! I was called on to lower my voice just recently by a man and it always makes me mad! Thank you for sharing this as I always have to do the opposite, they can't take it and that's it! Thank you for visiting me sweet lady. 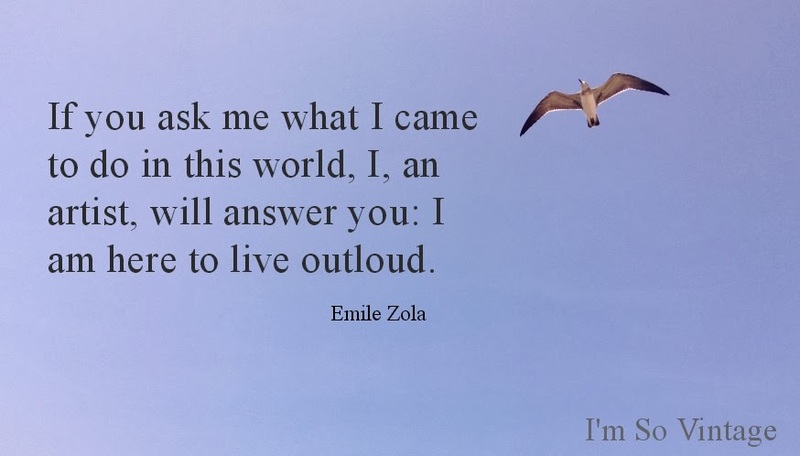 Laura, now I'll always think of you and Emile Zola when I hear birds squawking. Never be afraid to squawk when squawking is what's needed! What a wonderfully written post! Just today you came into my blog world and left an encouraging comment. I am your latest follower on GFC. I so agree…supportive being the operative word in most cases!